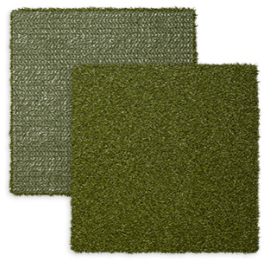 We install premium synthetic turf greens for residential and commercial projects. Learn more about our customized solutions. You can regain control of your golf score and eliminate the dreaded three-putt with GolfGreens™ by ForeverLawn®. 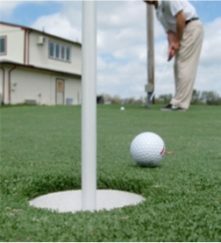 The outstanding playing quality of our synthetic putting greens improves your landscape and your short game. 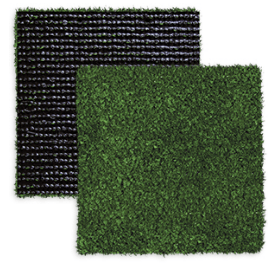 Our premium artificial greens create an ideal practice area or recreational spot for your property. Our knowledgeable GolfGreens designers are experienced in creating superior greens for residential and commercial projects, ranging from backyard practice greens to entertainment centerpieces at hotel resorts. We create customized designs to give you the perfect solution for your golfing needs. True Putt 10/11 is great for practicing precision putts. 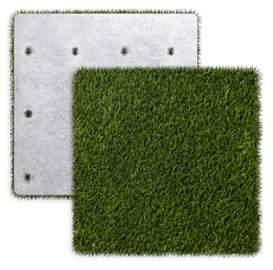 The texturized nylon surface mirrors the fast green speeds of pro golf courses, with a stimpmeter reading of 10 to 11 feet. The short, dense construction offers a realistic, smooth surface for consistent ball roll. Pin Seeker is a polypropylene sand filled green that allows for both putting and longer approach shots. 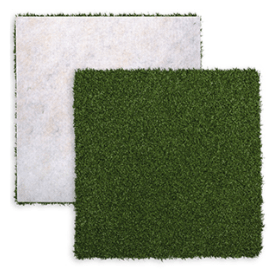 The high-quality playing surface provides a realistic artificial green that performs like real grass. Our expert designers work closely with you to assess your golfing needs and to present a tailor-made solution. Whether you desire a small practice green or an extravagant landscape with sand traps, peaks, and valleys—we deliver your vision. 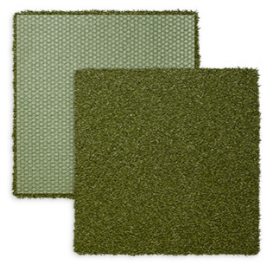 Contact us to get started with your customized artificial turf or learn more about our proven installations.